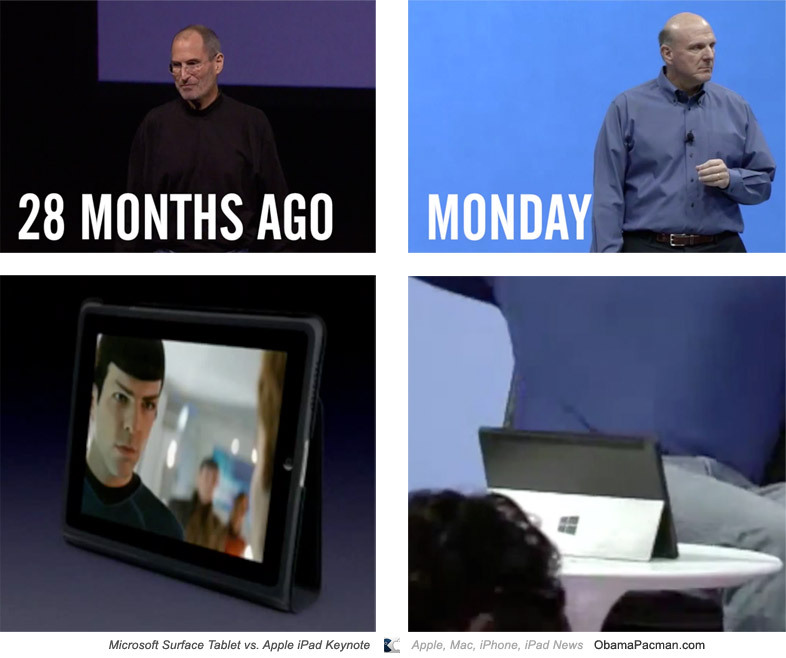 Did the latest Microsoft Surface tablet copy Apple’s iPad keynote? Here’s a comparison video. Great video created by Read Write Web. Illustration by ObamaPacman, made using parts of the video. Jeans and sneakers of Microsoft employees. What’s next, black turtleneck? This entry was posted on Thursday, June 21st, 2012 at 2:28 pm	and is filed under Microsoft, iPad. You can follow any responses to this entry through the RSS 2.0 feed.